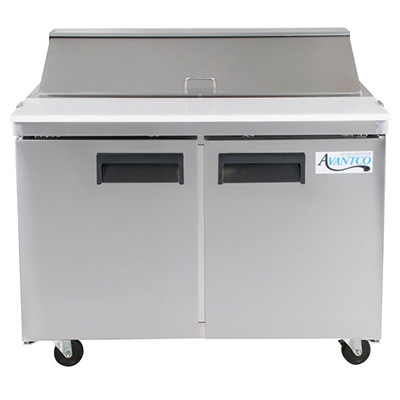 Avantco Refrigeration products can be purchased through WebstaurantStore and The Restaurant Store. As an online retailer, WebstaurantStore can assist with purchases to customers across the United States. Can I purchase from Avantco direct? We do not sell direct to customers, so please visit one of our distribution partners to place an order. I would like to become a vendor. Are you setting up new distribution accounts? Due to an exclusive partnership with WebstaurantStore and The Restaurant Store, Avantco is not setting up new distribution accounts. Our online distribution partner WebstaurantStore can assist resellers in fulfilling an order for customers. Common replacement parts can be located by clicking the “View Parts” button on our homepage or by visiting the page of your model on our site. You may also reference your manual for part numbers. Please visit a distributor, such as WebstaurantStore, to order any needed parts. 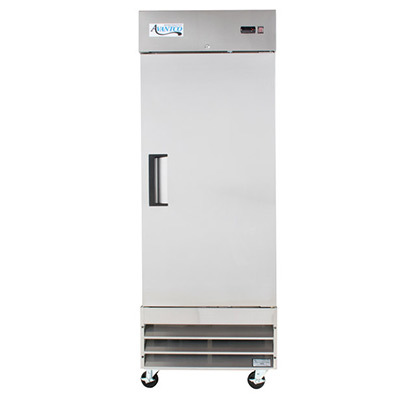 Capillary tubes and filter driers can be purchased through your local refrigeration supply house or by calling 1-800-678-5517 and selecting Option 2 for the Parts Department. 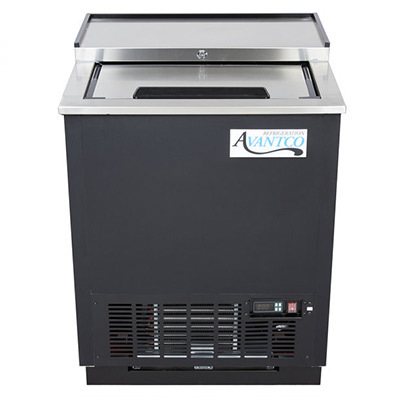 Avantco Refrigeration products can be purchased through WebstaurantStore and The Restaurant Store. These retailers will be able to provide you with product pricing. We do not have a customer service phone line, but if you wish to ask a question by phone, our online distributor WebstaurantStore has phone representatives available who can assist you at 717-392-7472. To reach out to the appropriate channels for a warranty claim, please see “I need warranty help for my full size refrigerator or freezer” below. Are your products NSF Compliant? 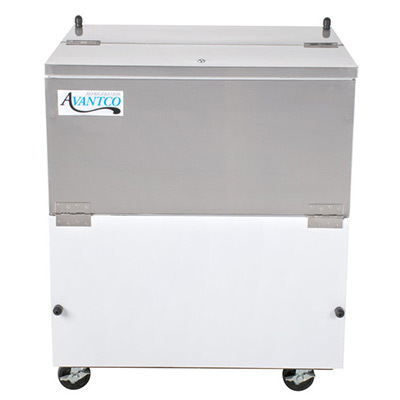 Many Avantco Refrigeration products are NSF compliant. 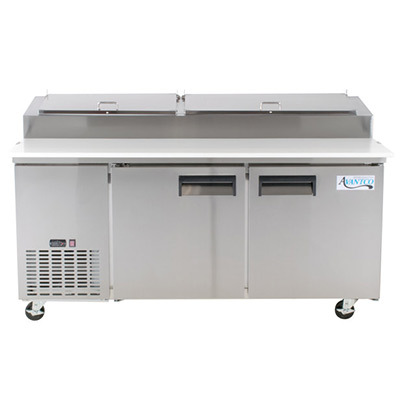 All of our units are intended for use in a commercial setting, and each product undergoes rigorous testing to meet commercial standards. 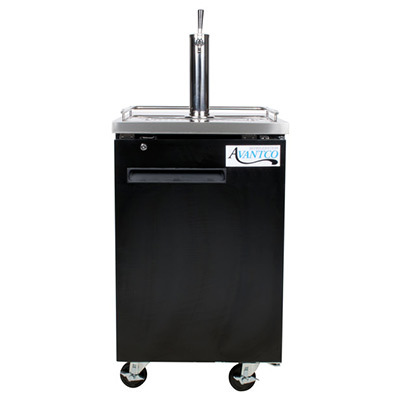 While not listed with NSF International, Avantco Refrigeration products are certified through ETL, a division of Intertek Group, a major testing laboratory. 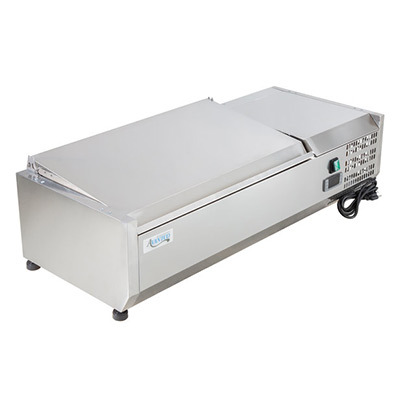 Units showing the ETL Sanitation mark have been tested and are NSF-7 compliant for foodservice refrigerators and storage freezers or NSF-18 compliant for manual food and beverage dispensing equipment. 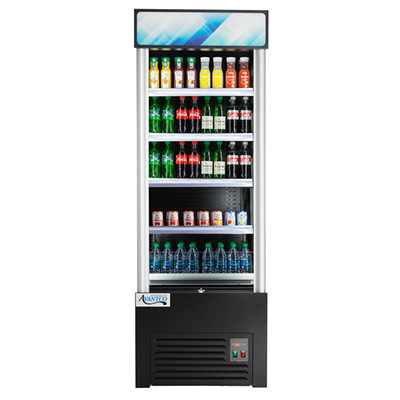 Units showing the ETL US mark are UL-471 compliant for commercial refrigerators and freezers for electrical product safety. Full details are available on each product page and on related spec sheets. To determine specific compliance standards needed at your establishment, consult your local health and safety inspector. R290 is a hydrocarbon based refrigerant derived from propane with a purity level of 97.5% or higher. It is natural and non-toxic. This specialized refrigerant has an ozone depletion potential of 0 and a global warming potential of 3, making it an environmentally-responsible choice for your business. Compared to other refrigerant types, purchasing an R290 refrigerant refrigerator or freezer can reduce energy costs by as much as 28%. Avantco Refrigeration model numbers ending in HC will feature R290 refrigerant. Do you have CAD/REVIT files available? We are unable to supply CAD or Revit files for design. However, all Avantco spec sheets will include 2-dimensional renderings and product sizing. In order to keep our product pricing low and fulfill orders quickly for our customers, no custom colors, sizing, or voltages are available. 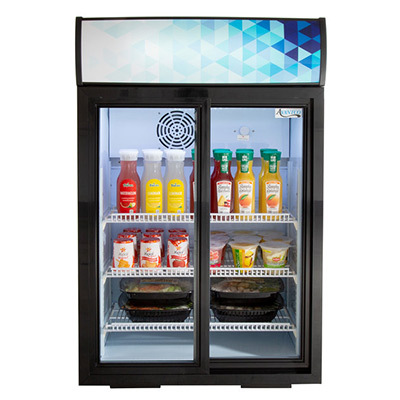 The blue graphics on our merchandising refrigeration is easily removable, should you wish to create custom graphics. 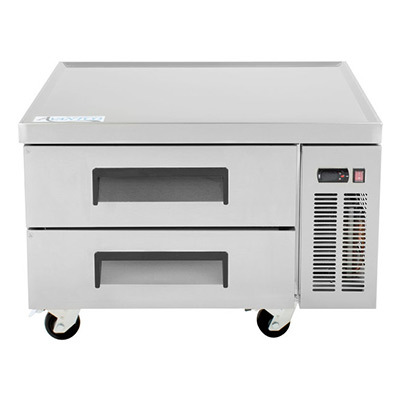 If ordering by the truckload, Avantco can work with our distributor WebstaurantStore to ship product with custom print graphics of your design. For more information, please contact WebstaurantStore at 717-392-7472. Where should I install my new refrigerator or freezer? Install your Avantco product indoors on a strong, level surface in a well-ventilated area. Select a location away from heat and moisture-generating equipment. The unit should be plugged into an outlet of the appropriate voltage. Be sure to check the manual to see if your product requires its own dedicated outlet and to determine appropriate clearance. Do not use extension cords. 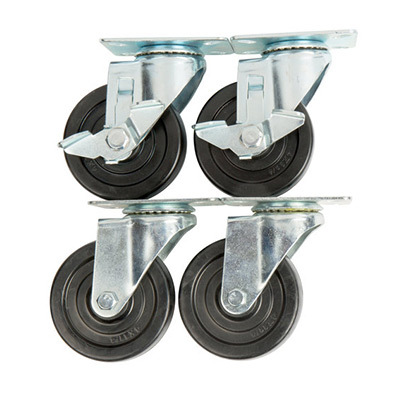 Uneven surfaces may cause poor performance or excessive noise. 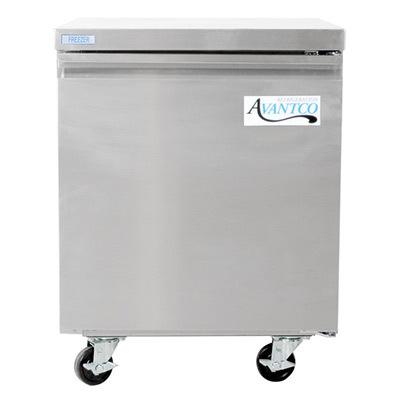 Avantco refrigerators are not tested for use outdoors. 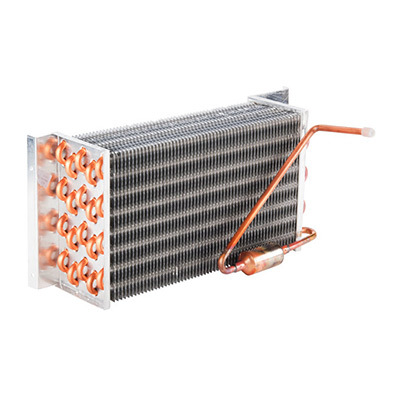 Malfunction due to high ambient temperatures, humidity, or an improperly maintained condenser coil will void the warranty. Can I turn the unit on its side during transport? No, all refrigerators and freezers should be shipped in an upright position. During delivery, the product may be tilted on its side to pass through doorways, if needed. If the unit is tilted during delivery, allow it to sit for 24 hours before plugging in. This will allow the refrigerant to settle. Do you offer reversible hinge kits? 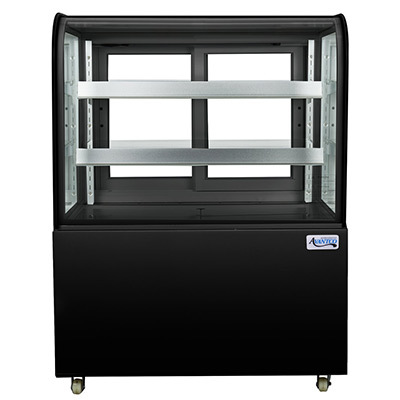 All Avantco refrigerators ship with a right-hinge door design. Select Avantco models can be converted from a right-hinge door to a left-hinge. Instructions for performing a hinge reversal can be found in your product manual. Please consult your product spec sheet or contact us to inquire about reversible hinge kit availability for your model. Do beer coolers come with all of the accessories needed for operation? 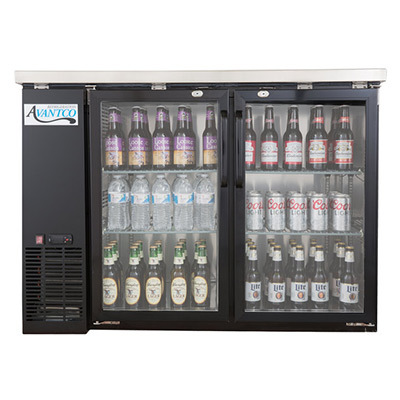 All Avantco beer coolers are sold with an included D system coupler. You will need to obtain a CO2 tank, CO2 regulator, and gas hoses prior to installation. While our distribution partners sell compatible regulators and gas hoses, you will want to consult a local beer supplier or your installer to determine the proper CO2 tank size needed for your business. How can I find the running amps and BTU rating of a particular product? This information can be found in the spec sheet of the refrigerator or freezer you are interested in purchasing. Spec sheets are located on this website as part of each product’s page. How do I clean the condenser coils? View the step-by-step cleaning instructions and an instructional video. 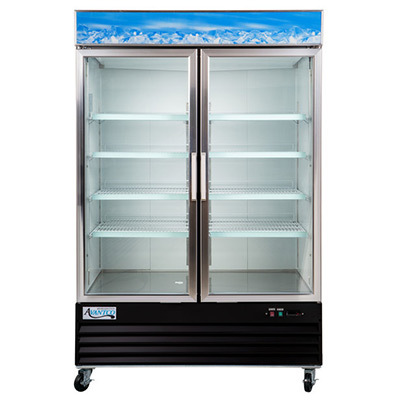 How can I prevent condensation in my merchandising refrigerator or freezer? 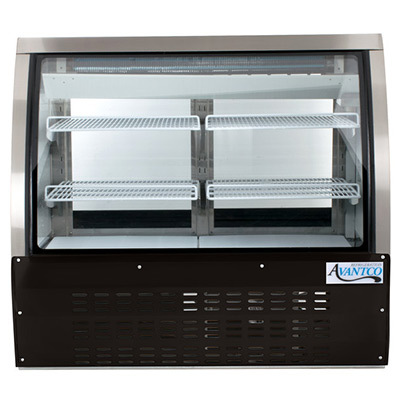 A number of factors can contribute to fogging and condensation within your Avantco Refrigeration product. 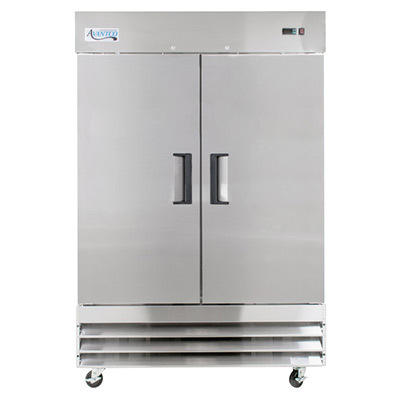 When choosing the best location for your refrigerator or freezer, it is important to consider humidity in addition to accounting for ambient temperatures and ventilation. The proper humidity level for your space should be around 45-50%, as measured by a hygrometer. Opening and shutting the equipment frequently or a clog in the evaporator drain pan can also cause condensation. 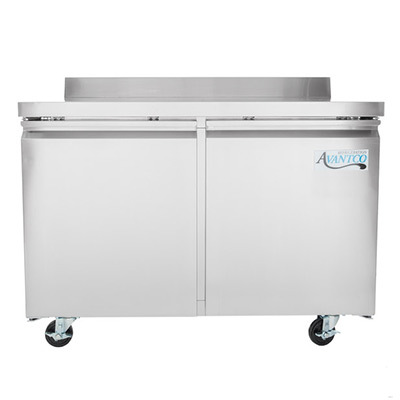 Avantco Refrigeration guarantees to the original purchaser of new Avantco Refrigeration units a 1 year parts and labor warranty, that such equipment will be free from defects in material and workmanship for a period of 1 year from the date of delivery. 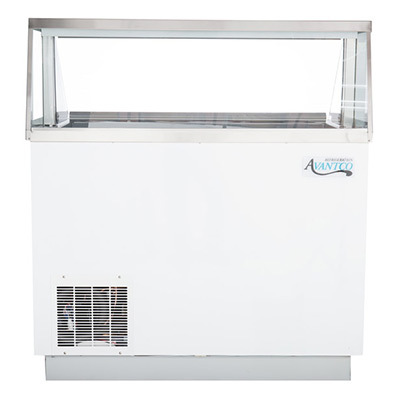 In addition, Avantco Refrigeration warrants the compressor on select units to be free of defects in material and workmanship for a period of 5 years from the date of delivery. View the full details and warranty exclusions. 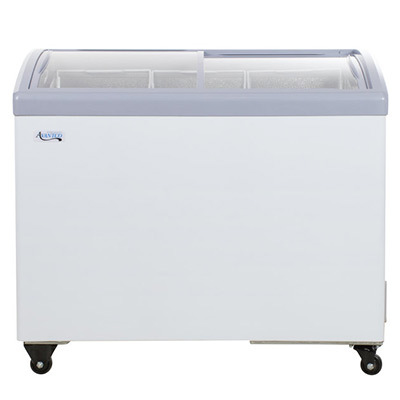 Avantco Refrigeration guarantees to the original purchaser of new Avantco refrigeration units that such equipment will be free from defects in material and workmanship for a period of 1 year from the date of delivery. Full details and warranty exclusions can be found in the product manual, available on each product page of our site. Is my product within warranty? We are happy to check the warranty status for you. The original order number with the company where the unit was purchased will serve as your proof of purchase. All warranties run from the date of arrival at your location. I need warranty help for my full size refrigerator or freezer. Contact your authorized dealer for warranty assistance on models that have an item number beginning with 360 (e.g. 360ADC4HC). When calling, provide your model number, serial number, and original order number as proof of purchase. Call 1-800-678-5517 for warranty assistance on all other models. When calling, provide your model number and serial number. You must also provide proof of purchase in the form of your original order number with the authorized dealer where this was purchased. Always reach out to our dispatch team in order to ensure that coverage will be provided for a warranty issue. Can any technician work on my Avantco refrigerator or freezer? For all products with a 1 year parts and labor / 5 year compressor warranty, customers must call 1-800-678-5517 to make a warranty claim while the unit is within 1 year from the date of delivery. Our technicians will troubleshoot with you by phone or set up a service call with a local authorized technician. Once the 1 year parts and labor warranty has elapsed, you may use any licensed technician to diagnose your unit and perform repairs. 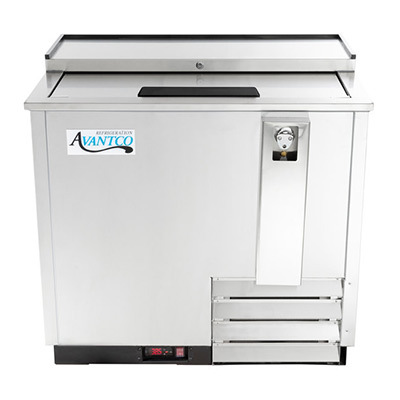 Failure to contact Avantco warranty dispatch before servicing a unit under warranty may void the balance of the warranty. Avantco will not reimburse for service obtained outside of the warranty process. How can I replace a defective compressor? 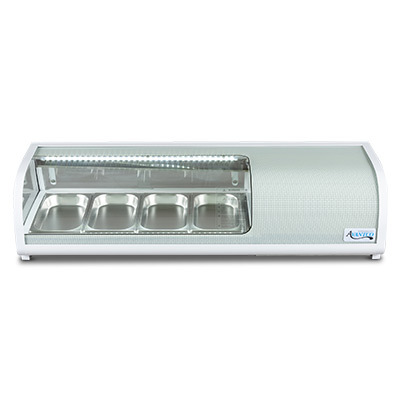 Full size refrigerators and freezers with item numbers beginning in either 178 or 193 (e.g. 178SS2FHC) include a 5 year compressor part warranty. Should your compressor fail within this period, have your technician call us at 1-800-678-5517 to arrange for a reshipment of a new compressor. You must also provide proof of purchase in the form of your original order number with the authorized dealer where this was purchased. For products outside of the general 1 year parts and labor warranty, customers are responsible for covering service fees associated with diagnosing the compressor failure and installation of the new compressor. How can I become an authorized warranty repair technician? We are always seeking talented technicians to assist our customers with warranty repairs. To be added to our list of authorized technicians, please call 1-800-678-5517 and provide a copy of your W-9 form and proof of insurance. All customers should reach out to our warranty team direct to submit a warranty claim, so please be advised that we cannot guarantee compensation if a customer reaches out to a technician directly, rather than following this process. A representative will get back to you via email as soon as possible.